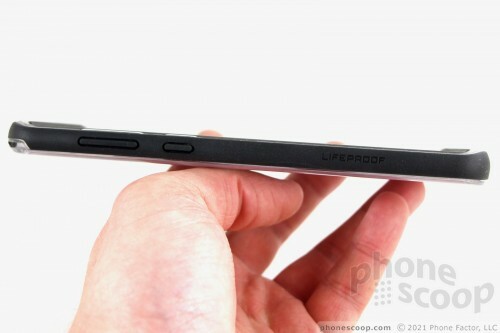 LifeProof is perhaps best known for creating fully waterproof cases. 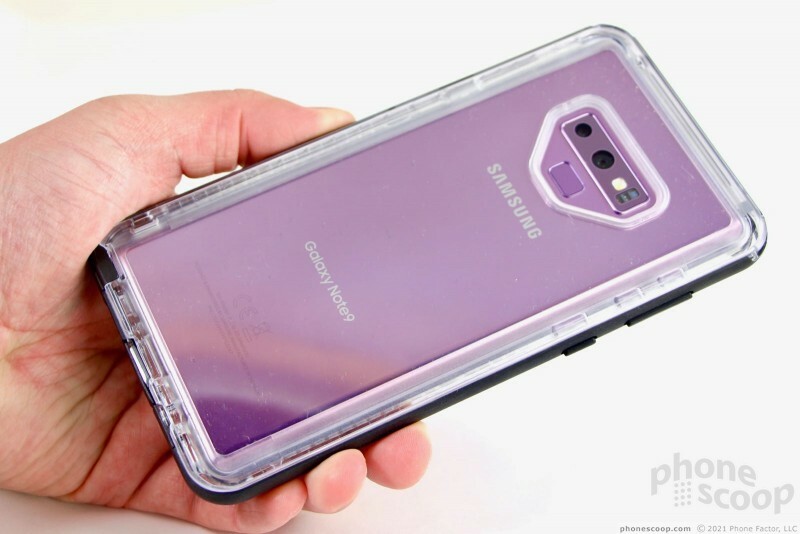 The Note9 has its own waterproofing, so LifeProof crafted the Next, a case that may not be waterproof, but was designed to handle mud and other maladies thrown its way by Mother Nature and clumsy hands. The Next is a two-piece case. It features a clear design with either black or rose accents. 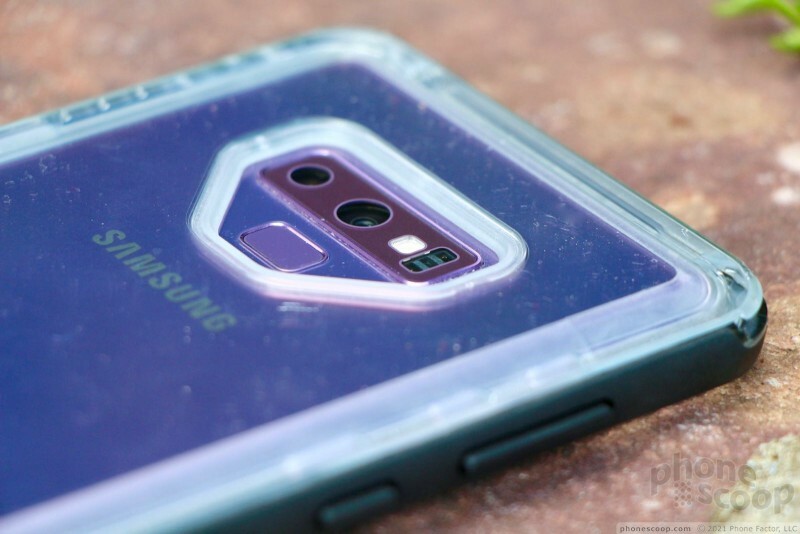 The clear portions of the case are incredibly hard plastic, while the accent color is a toughened rubber that stretches around the side edges of the Note9. The rubber material has a rough texture that makes it grippy and easy to hold. Pulling the case apart so you can fit the Note9 in is no easy task. You may find that it requires careful use of a tool, such as a quarter, butter knife, house key, etc. If you just yank hard there's a chance you might damage the frame. 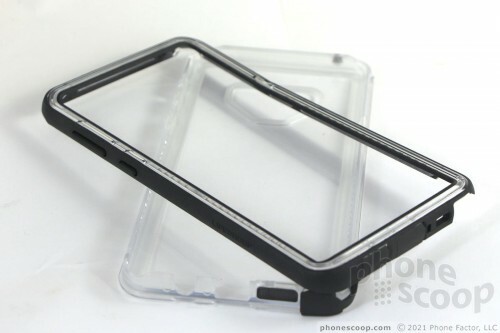 The front-facing portion of the case is a plastic frame covered by the rubber bumper, while the rear is a solid plastic panel. 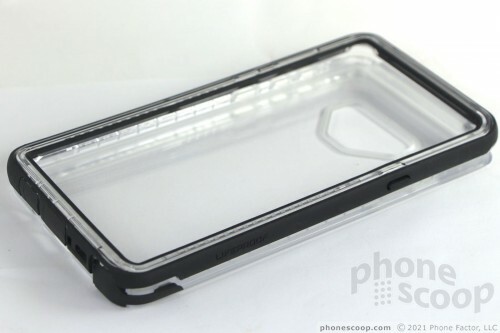 The Next case has a nearly invisible rubber gasket that runs around the inner, rear edge. This provides some cushioning for the back panel and forms a seal against the glass. A similar bumper is found around the cut-out for the camera. It's a tight fit; the Next doesn't have any wiggle room. 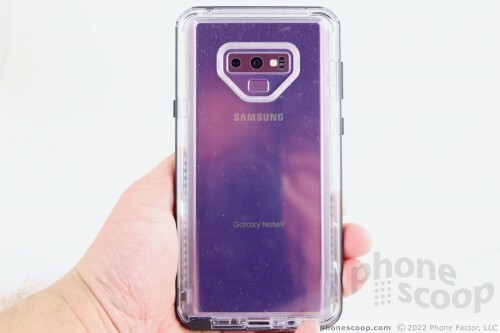 When viewed from the front, the Next more or less hides the color of your Note9 — you can't tell if it's blue or lavender. 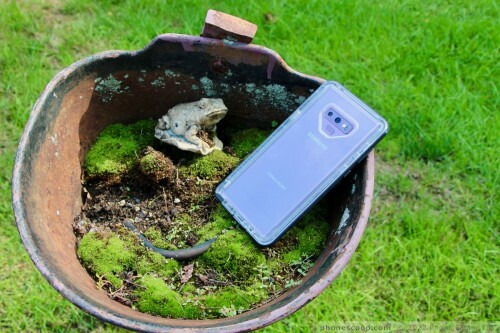 Conversely, the see-through rear panel allows you to see the entire back surface of the Note9 so that color can shine. This case is gigantic. It measures 6.86 inches tall and 3.54 inches wide. It adds about one-half inch top-to-bottom and side-to-side. 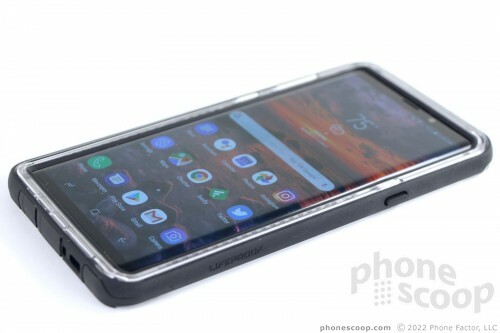 Further, it boosts the weight from the 7.1 ounces to 9.2 ounces, making the Note9 and case together well more than half a pound. That's really heavy. The case is big enough that it makes using the phone more difficult. It was really hard to fit the Note9 in the LifeProof Next into my jeans pockets. The looser, roomier pockets of my cargo shorts were more accommodating, but the weight is just ridiculous. It's like having a tray slap your thigh as you walk around. The sheer size of the case may be off-putting to some. The Next impacts usability of the buttons and ports some. 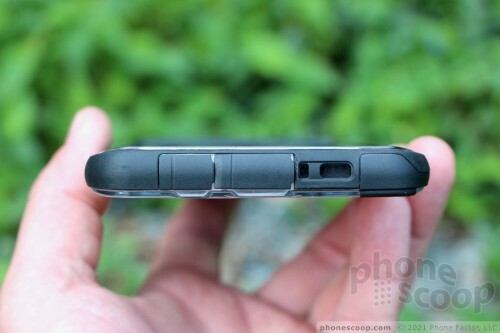 A raised rubber ridge on the phone's left edge covers the volume toggle. You have to press hard to adjust the volume up or down. The small nub covering the Note9's dedicated Bixby button is better, as is the one covering the screen lock button on the other side. I found that you have to ensure the case is fitted exactly right for the screen lock button to work. 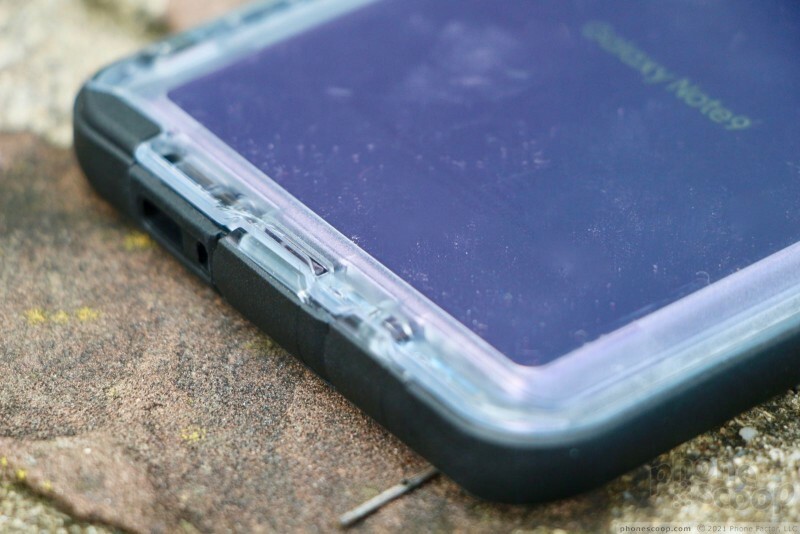 If you don't properly affix the clasps on that side of the case, the screen lock button is inoperable. 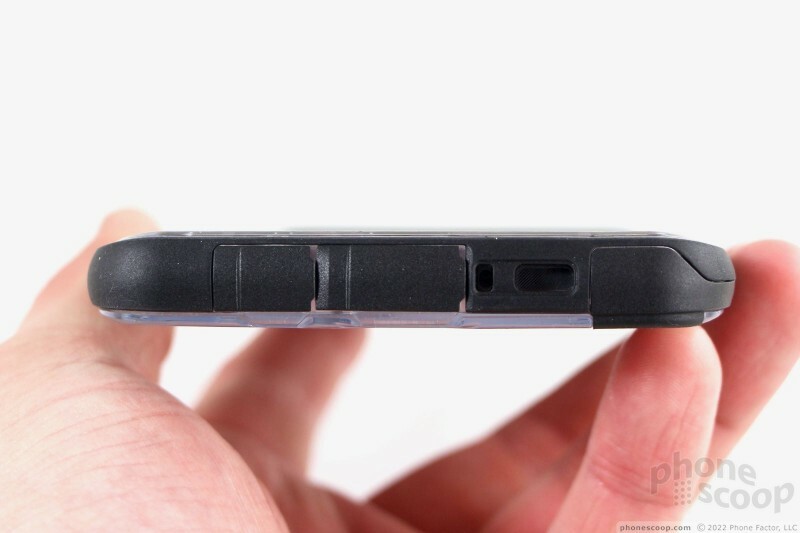 A big hatch covers the S Pen on the phone's lower corner. The hatch, made of rubber, is easy to peel back thanks to a notch for your fingernail. I had no trouble removing the stylus. A small hatch covers the USB-C port. I wish this hatch had a longer tether so it could more fully move out of the way. It's a tight fit getting the charging cable in. The hatch opening for the 3.5mm headphone jack makes it inaccessible to nearly every set of headphones I have. Only the slimmest headphone plugs will fit. I didn't have any trouble finding and using the fingerprint reader on the back. The case does not impede wireless charging. 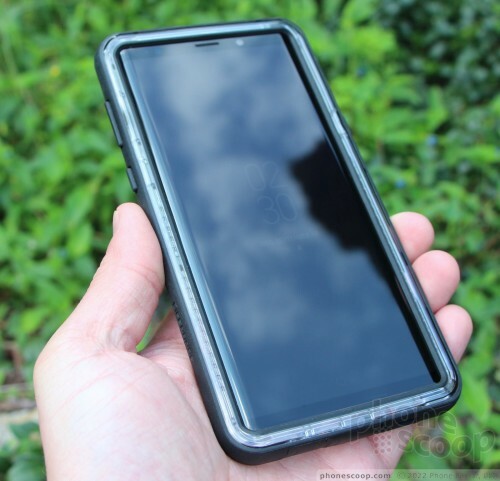 LifeProof claims the Next protects the Note9 from drops, dirt, dust, debris, and snow. I didn't have a snowbank handy, but I can confirm that the case handled some backyard bruising. 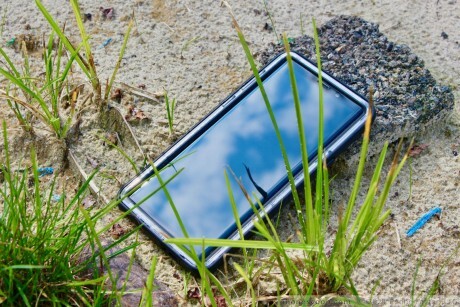 I tossed the phone around and dropped it onto dirt, gravel, and sand. It survived each impact. While the case doesn't prevent the screen from getting scratched, it definitely keeps debris out of the ports. 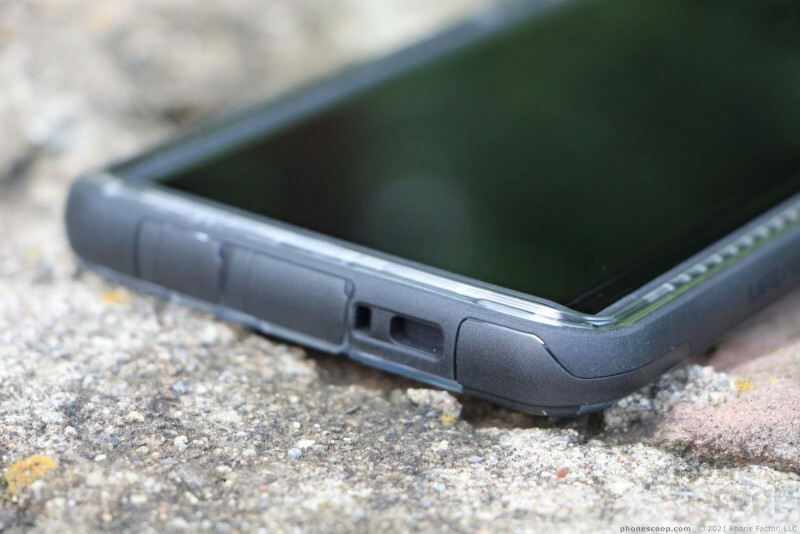 LifeProof says the case can handle drops from as high as two meters, or 6.6 feet. Indeed, it brushes aside drops from waist and desk height no problem. Letting it fall to wooden and ceramic floors didn't bother it, nor did drops to concrete. The case does keep the phone safe from damage. The Next is disappointingly expensive. LifeProof sells it for $80. That's $20 more than equally-protective offerings from Otterbox. 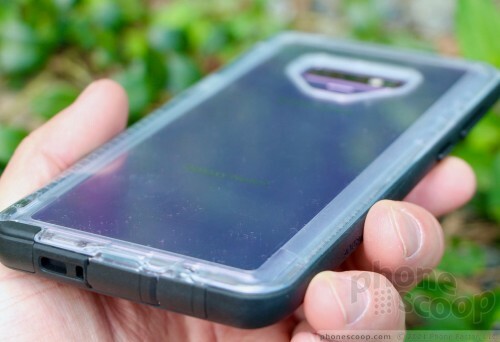 The real appeal of this case is the see-through design, which allows the phone to be seen. If that's what you want, the case offers some Next-level protection. 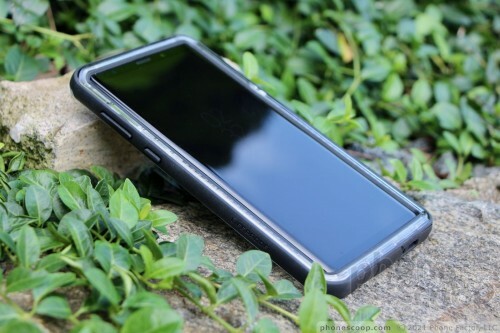 If you don't care to see the phone's sleek design, you may want to save yourself some cash and go with an Otterbox. Right now I use a Tech 21 Pure Clear right now, and have a back up Spigen Tough Armor, and a cheap Folio wallet one. The later two were inexpensive. The LifeProof likes decent as well. If I need another which I doubt. I may get one too.